Bud Powell seems to have based this tune on the bridge to “All The Things You Are”. This entry was posted in Uncategorized and tagged Bud Powell, jazz, lead sheet, Midway, music, Noteheads, transcription on March 24, 2014 by noteheads. Here’s a high-energy tribute to some early jazz giants from the always entertaining Roland Kirk. 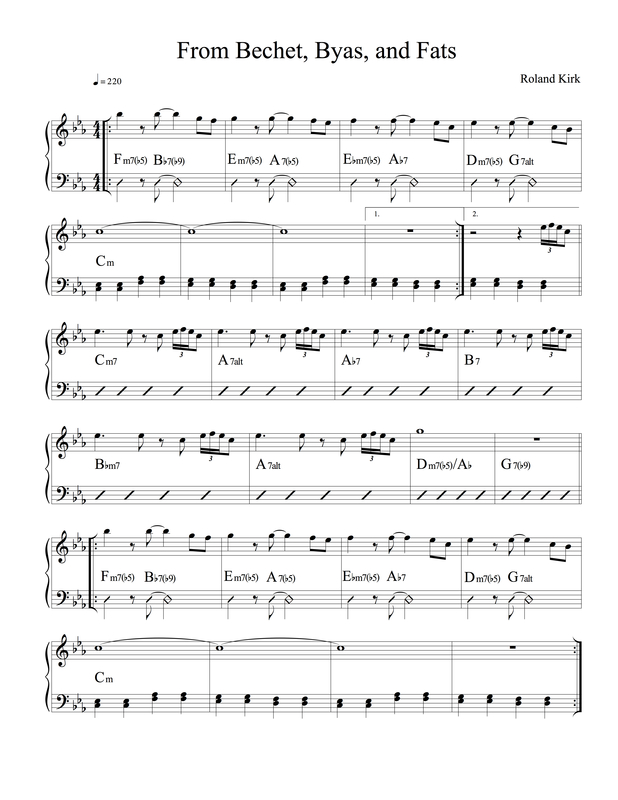 The band solos on an AABAA form. 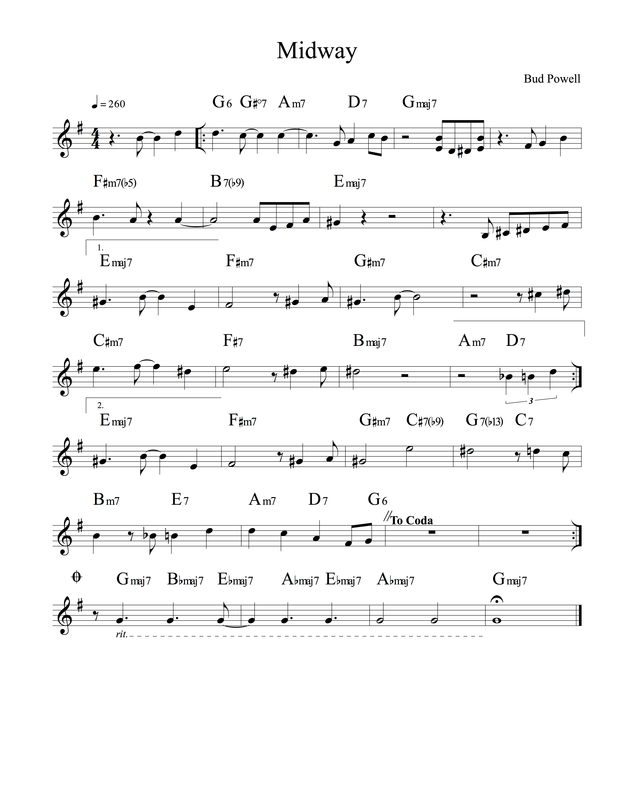 This entry was posted in Uncategorized and tagged From Bechet Byas and Fats, jazz, lead sheet, music, Noteheads, Roland Kirk, transcription on March 16, 2014 by noteheads. This melody may seem short at only 8 bars, but it’s more than enough to serve as a playground for Kenny Barron and Russell Malone. This entry was posted in Uncategorized and tagged jazz, kenny barron, lead sheet, music, Noteheads, Spirit Song, transcription on March 5, 2014 by noteheads.